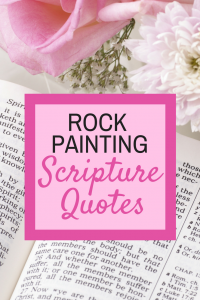 Rock Painting Scripture Quotes will give you the best Bible verses to paint your rocks with inspiration. Spreading inspiring messages through painting stones is the perfect way to create a positive impact on the world. You never know how much finding that special rock can affect someone else. A few years ago, a woman was purchasing flowers for her daughter’s grave and found a painted rock that said: “Have faith.” That rock gave her the will to go on, in spite of experiencing such a tragedy. Make sure you join our Facebook group Rock Painting Ideas and Resources. 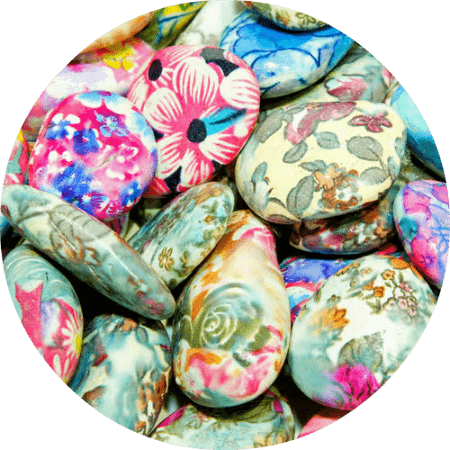 It has over 23,000 rock painting enthusiasts just like you sharing ideas on what to paint and the best ideas out there. It offers daily inspiration, tips, and techniques. Plus, you wouldn’t want to miss out on all the fun! You can join this group here. Pin this post so you can refer back to it again and again. I provided a pinnable image at the end. Follow me on Pinterest, where I pin all the best stone painting ideas out there. We’ve reached the end of the best Rock Painting Scripture Quotes. I hope you enjoyed it. 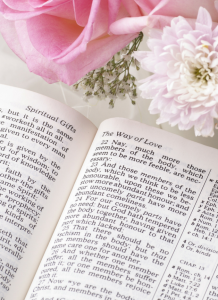 Let me know if you have a favorite Bible verse you like to use in the comments below. Be sure to sign up to receive our weekly newsletter. You’ll receive the best rock painting tips, ideas, and resources. Plus, everyone that is a subscriber will be entered to win the monthly drawing for an amazing rock painted by an artist for free! This bonus is only for subscribers.